As an Australian travel blogger, I don’t spend nearly enough time exploring my own stomping ground. So when I had a few days off over the weekend, I decided to grab a quick domestic flight to nearby Melbourne, my favourite city in Australia by a long shot, book a hotel with the Hotel Quickly app and explore the city in a different light – on a French themed getaway! However finding France in Melbourne is easier than one might think. 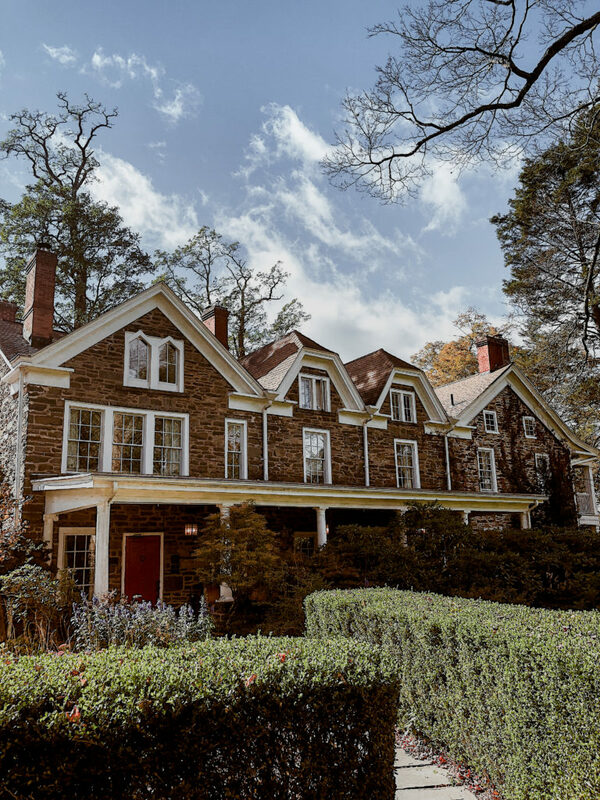 The whole city embraces so many different cultures and if you head to the right suburbs, you’ll find plenty of French flair. Here’s how to enjoy a French themed weekend in Melbourne plus a free $30 credit to all WOW readers when booking a last minute hotel with the app! Head to the bottom of this post to find out more. If you’re desperate to teleport yourself to the streets of Paris, you might as well put on your walking shoes as the Parisians love to walk their city – in fact, they wouldn’t have it any other way! Grab a croissant and takeaway coffee and be on your way for a big day exploring the city of Melbourne. For breakfast crepes, try La Petite Crêperie (go for the salted caramel) or Crêperie Le Triskel in Melbourne CBD. For fantastic French bread (to create your own picnic), head straight to Noisette and onward to the Royal Botanical Gardens for a picnic garden party of your very own. For a casual lunch, try Bistro Guillaume in Southbank or Chez Dre in South Melbourne. For a casual dinner, try Entrecote in South Yarra. The “house speciality” is a hit and comes with unlimited fries or salad (or if dining with a partner you can get both!). There’s even a vegetarian option which was t-a-s-t-y. However my favourite items on the menu are the goat’s cheese salad and the chocolate/mango Bombe Alaska for dessert! Fancier options include Bistro Gitan or Deja Vue. 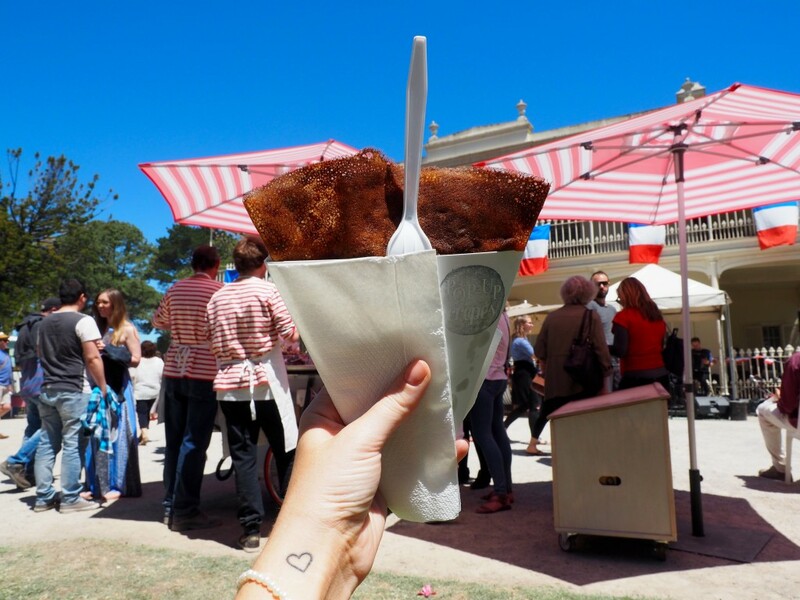 If you time it right, the best time of year for a Frenchy weekend is during the Paris to Provence weekend festival in South Yarra. It has just passed (that’s why I chose to go to Melbourne in the first place), but there’s always next year! Expect an abundance of French produce, with everything from crepes to chocolate covered croissants, fresh blooms, and many cheese platters to go ‘round. Plus there is plenty of entertainment for the day, including a French bulldog dressup competition and live music throughout the day. 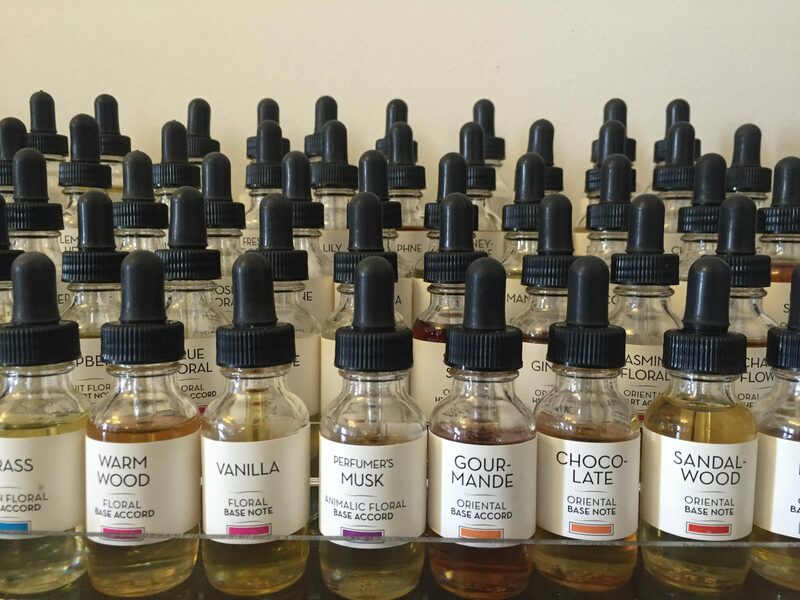 If you can’t come during the festival, another highlight for French enthusiasts is to learn the art of perfumery in a private perfume making class where you make your very own scent! Try it out with Fleurage Natural Perfumes. If you’re still hungry, try a French food cooking class. To learn savoury dishes and techniques, try Dish du Jour. For sweet treats try Savour Chocolate and Patisserie School. 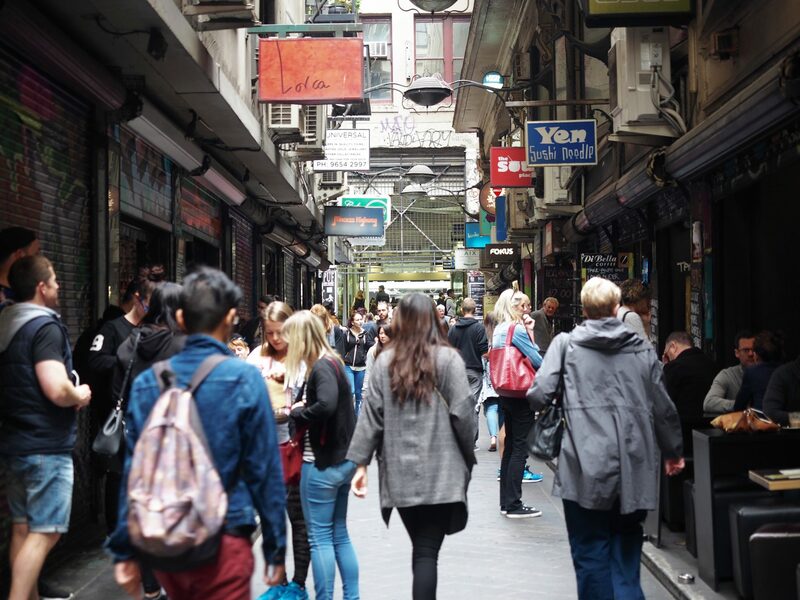 For the luxe French brands like Louis Vuitton, Dior, Hermes and Chanel, head to the upper end of Collins street (and surrounding blocks – some boutiques branch off Collins) to enjoy luxury French fashion houses at their best. If you’re really feeling Frenchy, grab a French manicure whilst you’re in the upmarket area. 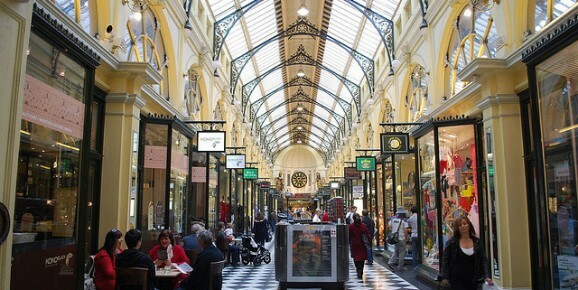 For more lovely (and local) boutiques with a Frenchy feel about the surrounds, head to the Block Arcade and enjoy the gorgeous late 1900’s interiors. We made a last minute booking with the Hotel Quickly app and landed a cheap room in the centre of Melbourne, complete with a buffet breakfast (yes, croissants were a daily affair). 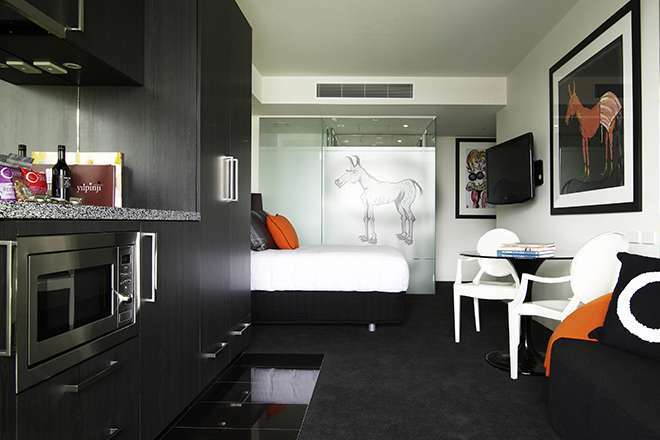 But if you want the best Frenchie/Artsy hotels in Melbourne, try The Cullen (pictured above); The Olsen; or The Lyall. All of these are neatly tucked away in South Yarra and Prahran, making them a great base for many of the French recommendations throughout this guide. This post was in collaboration with Hotel Quickly, the most popular last minute app for hotel bookings. WOW readers receive $30 off their first stay by using the code “BSAWARD” when they download the app. Yahoo! Here is what where you can find some easy steps to prevent inactivity expiration of fb account. What a cool concept for a post… and it’s so true. You can find a bit of lots of countries is such a multi-cultural city. It’s been years since I was in Melbourne. I love Australia. And after living in France, I’m sure I’ll wan to find a bit of France wherever we move next. Thanks! Oooo, I love cooking classes! I really enjoyed this post, thanks for sharing! “As an Australian travel blogger, I don’t spend nearly enough time exploring my own stomping ground.” And I feel the same way, but about the U.S.
Yay, Entrecote is one of my favourite places to eat in Melbourne! Those bottomless fries…so good. I would love one of those crepes right now!